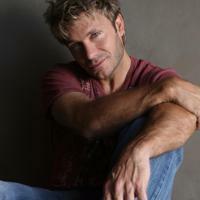 Vic Mignogna is a voice actor and music producer best known for his voice of Edward Elric in Fullmetal Alchemist. Vic has played many characters, ranging from Tamaki Suou in Ouran High School Host Club to Broly in Dragon Ball Z. Vic’s fans love him and have their very own dedicated fan club called the Risembool Rangers. Vic has been acting for stage and screen since he was 8 years old, but his anime career started with Vega in Streetfighter II, and since then Vic has been in hundreds of animated series and video games, including favorites like Vampire Knight, Pokemon, Tsubasa Chronicle, Soul Eater, Wallflower, Trinity Blood, Sword Art Online, Free!, Fairy Tail, Star Trek Online, League of Legends, Black Butler, Attack on Titan, and many more. Vic has also been in non-anime, appearing in the Wolverine and Iron Man series, the original Mass Effect Movie, and video games such as Soul Calibur, Disgaea, Persona III, and others. Vic is one of the most prolific guests of anime conventions in the world, having attended literally hundreds of cons. His fan group, called the Risembool Rangers, supports his convention appearances wherever he happens to go. Vic has a degree in filmmaking, and directs the award winning series “Star Trek Continues”.